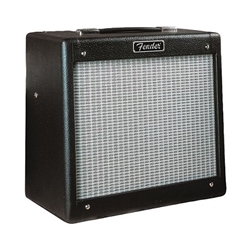 Designed in the tradition of the model "600" and early Champ circuits, the Pro Junior is a small amp capable of delivering 'Big Tone'. A pair of EL-84's, "Clean to Drive" volume, and a tone control keep the Pro Junior pure and uncomplicated. A favorite in recording studios!